Barcelona were trumped 3-1 by a rejuvenated City side who avenged their 4-0 vanquishing by the same opponents a fortnight ago. 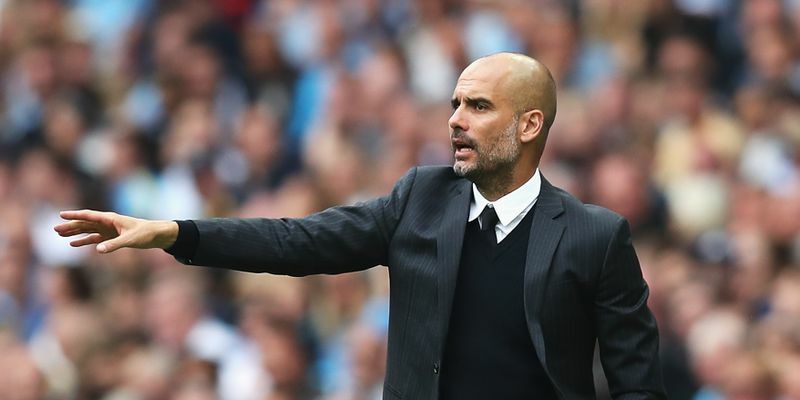 Pep Guardiola got the better of his former side and would be pleased with his team’s stunning performance to come back from a goal down. Started the game ahead of first-choice keeper Claudio Bravo ( Bravo was sent off in the last champions league match). Did well to deny Neymar from close range. Couldn’t have done much to save Messi’s goal. Wasn’t too involved in a game with tumultuous ebb and flow. Did well to block Suarez in the first half. Made a suicidal back pass to Suarez, and he must thank his stars for that move not ending in a goal for Barcelona as Gomes ended up striking the crossbar. Overall, a good game for the young centre-back as he snuffed out danger a couple of times. Was startlingly spotted in parts of the ground where one wouldn’t expect a centre back to be. Lacked precision in his passing. Could’ve done better to deny Messi the space for the first goal. Was booked in the second half for a malicious swing of the arm on Rakitic. Put an optimally weighted ball across the face of goal but De Bruyne failed to meet the pass which prevented City from getting a 2-goal cushion. Should’ve put City ahead after receiving a pass from Silva with only ter Stegen to beat but quickly made amends with a well-timed tackle on a marauding Messi in City’s box. Connected well from far out to test ter Stegen who was well-positioned to save his powerful shot. Tucked in City’s first goal by being at the right place at the right time.Lightning struck again for the German as he found himself in the right position once more to emphatically score his second and City’s third. Was sharp with his passes and won the ball cleanly in the middle of the park. Knocked the ball aroun deftly and was a vital cog in the City wheel. Failed to make a real impact in the first half of the game but redeemed himself with a perfectly curled freekick into the top corner to take City ahead early on in the second half. Found Navas with a lovely through ball in a move that led to City’s third goal. Caused the Spanish visitors a lot of problems with his movement and passes. Showed quick bursts of pace in the early stages of the game. Received a yellow card for diving which was a bad decision on the referee’s part as Umtiti clearly clipped the youngster in the box. Showed good vision to pass the ball across to Gundogan for City’s first goal.Missed a fantastic chance to put City ahead at the start of the second half due to a heavy first touch off Aguero’s pass. He made Pep realise his mistake of benching him in the last match with a glorious performance today. Made a vital pass to Sterling in the buildup to City’s first goal. Played more of a CAM role by feeding Sterling. Had a tremendous work rate. Made a “super-assist” for the third goal. Came on for Sterling. Was instrumental in City’s third goal and deftly broke forward in attack. Was a very effective substitute and brought more fluidity and life to an already dangerous-looking City side in the second half. Surely not a night to remember for the young German. One would expect him to have saved that De Bruyne freekick. Struggled a bit to keep pace with Sterling initially and was lucky to escape a booking when he felled the young Englishman by pulling his shirt.Supported well in attack. Was fortunate to not have conceded a penalty for tripping Sterling in the box owing to a poor refereeing decision. Failed in fostering a strong partnership with the experienced Mascherano. He did well individually. However, being the seniormost member of a makeshift defence he should’ve led them better. Lost the ball cheaply in the danger zone which led to City’s equaliser and showed nerves at lot of points in the match. Got a yellow card for a rather rash challenge on Gundogan. Was unable to keep the ball ticking today and was taken off at the one-hour mark in the game. Was guilty of committing a cynical,tactical foul on David Silva that resulted in City’s second goal.Seemed clumsy as he failed to win the ball in most of his challenges. Couldn’t dictate the game in midfield and was also not able to provide the trinity of Messi,Suarez and Neymar with the desired supplies. Broke ahead well and displayed some silky footwork to fend off Otamendi in the first half. Should’ve brought Barca level but could only hit the crossbar from a Suarez pass. Showed composure to assist Messi for the first goal of the game.Received a yellow card for lunging and rather unnecessary tackle on Sterling. Was incisive with his lofted long balls. Wasn’t exactly visible in the second half. Probably failed to put on his scoring boots for this match. Headed wide a glorious chance in the first half to extend Barcelona’s lead. Returned to haunt the team that he tormented in the last champions league encounter. Was at the end of a breathtaking counter-attack to bury a chance wherein he timed his run to perfection. Had a few sublime passes and mazy runs to his name but couldn’t get Barcelona to find the net again. Came on for Rakitic and didn’t get much of the ball. Came on for Sergi Roberto and failed to influence the proceedings. I'm a 20 year old student pursuing a bachelor's degree in management studies at St. Xavier's College, Mumbai. I've played football at the national level and being a true blue-blooded Indian I'm an ardent cricket fan too. I like spreading happiness and entertaining people around me with some tongue-in-cheek humour. All in all, I'm an avid sports enthusiast carving his own niche.